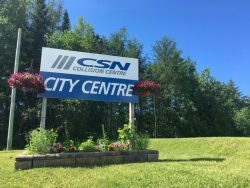 CSN City Centre in North Bay achieves CCIAP Certification. The Canadian Collision Industry Accreditation Program (CCIAP) is a program run by AIA (Automotive Industries of Canada). To become CCIAP certified, a repair facility must pass a question-and-answer test on its repair process and equipment and an audit of the facilities in order to confirm the site reaches the standards set by AIA. Established in 1991, CSN City Centre has grown to be the number one choice of collision repair facility in North Bay. CSN City Centre continues to invest in state of the art equipment, training and certifications to ensure that each and every vehicle is repaired properly and safely.